Welcome to Tots to Teens Pediatrics in Murphy, Texas. Please take a moment to learn about our practice and how we can help ensure your child's healthy future. Your pediatrician's office is an important source of care, information and support for you and your child. We try to create an environment that will make you feel comfortable and secure in your having selected us to be your family’s pediatric healthcare provider. We are happy that you chose us to be a part of your child's life. We provide complete medical care from infancy through the college years. We are also committed to supporting your family through education and parenting advice. We welcome the opportunity to meet you for a free prenatal or “meet the doctor” office visit. At Tots to Teens Pediatrics, we are committed to providing the best pediatric care possible in a caring and compassionate environment. We are a small, friendly pediatric practice serving families in the North Texas communities of Plano, Richardson, Murphy, Parker, Allen, Garland, Lucas, Wylie and Sachse. The practice has been established to provide quality healthcare to infants, children and adolescents in a warm, caring and compassionate environment. One of the greatest pleasures in life is to watch our children grow. 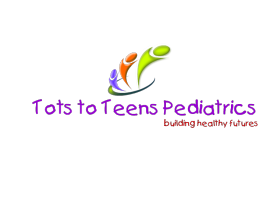 At Tots to Teens Pediatrics, we focus on the whole family by placing emphasis on educating the parents and providing support and parenting advice. We are privileged to help you ensure a healthy childhood for your children and, enable them to grow into strong, healthy and confident individuals. Our office is open six days a week. We provide 24 hour phone support for emergencies. We also offer complete weekend coverage for our patients through the office. Our office is designed with the safety and comfort of our children in mind. Pediatric friendly exam rooms and waiting rooms will make your children feel at home. The office is equipped with the state of the art electronic health records. This enables us to provide care in an efficient manner with less wait time, prompt medication refills and referral requests. We also encourage communication with our office for non-urgent matters via e-mail.